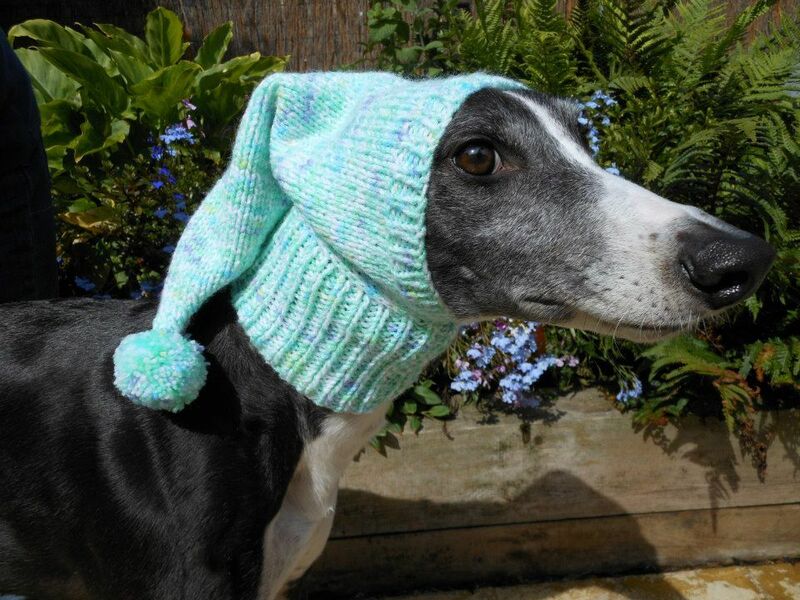 Dog lover Jan Brown (aka Knitty Jan) has spent more than 4,000 hours knitting cosy hats, jumpers and snoods for homeless greyhounds. Fifty-two-year-old mum Jan from Seaburn in Sunderland, started making her cheery knits five years ago and has now hand-knitted over 300 jumpers for abandoned dogs. Each one is made with love and can take her up to 20 hours to complete. 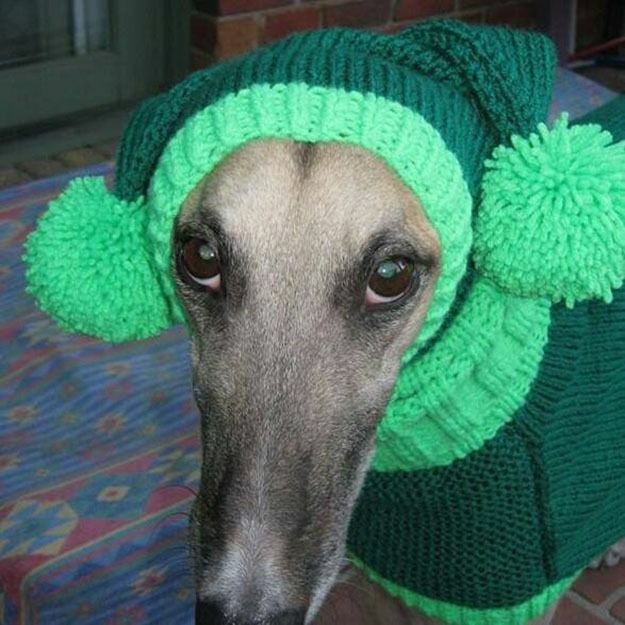 She started knitting her woolly hats, scarves and jumpers for Greyhound Rescue Northeast, a small family-run rescue centre based in Tyne & Wear, in 2008. They rescue retired greyhounds, whippets and the odd lurcher and find them new homes. To keep up with demand, Jan quit her job in 2012 and started knitting full-time. She now sells her knits to dog owners around the world, via her Knitted With Love website, with all profits going towards supplying jumpers to rescue centres across the UK, free of charge. At Christmas, Jan ramps up the festive knits, making Father Christmas outfits, woolly antlers and Christmas hats for the pups. 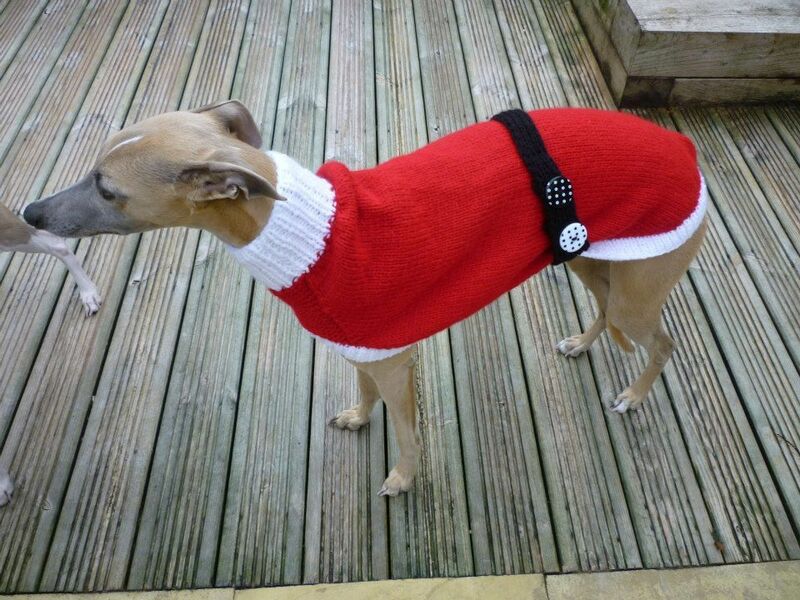 ‘I can’t think of anything I would rather do than knit woolly clothing for dogs,’ Jan says. ‘I have spent over 4,000 hours knitting but it’s all worthwhile when I see them sporting their new jumpers and hats. 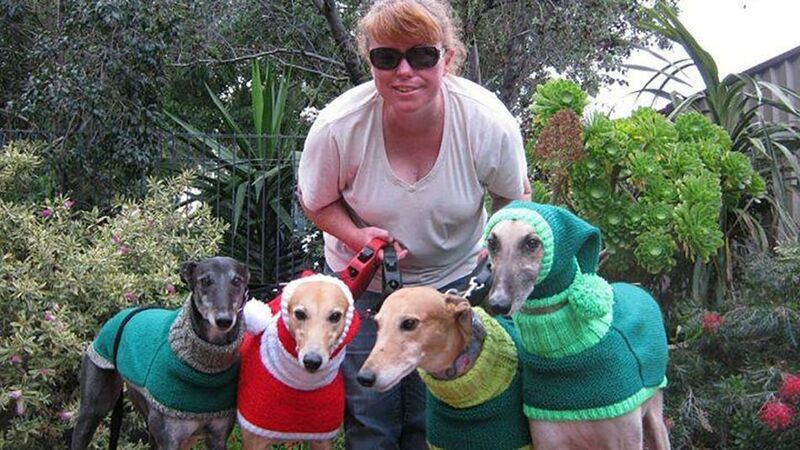 PIC FROM CATERS NEWS – (PICTURED: Australian customer Donna Matthews with her pets and jumpers ) – Meet the mum who spends more than 4,000 hours knitting Christmassy jumpers for abandoned dogs. 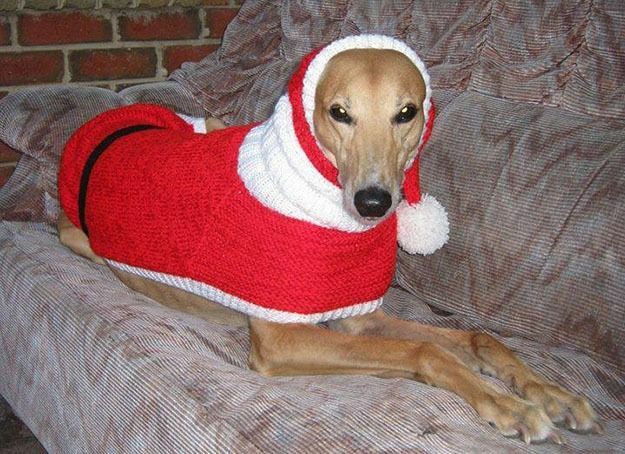 Jan Brown, 52, from Seaburn, Sunderland, has hand-knitted more than 300 of her festive designs to give a warm woolly gift to homeless greyhounds at Christmas. Each jumper can take the up to 20 hours to complete and are sent to pet rescue centres across the country. Since starting five years ago she has made Father Christmas outfits, antlers to even woolly hats, scarves and snoods for dogs as well as reconditioning old blankets into coats. SEE CATERS COPY. 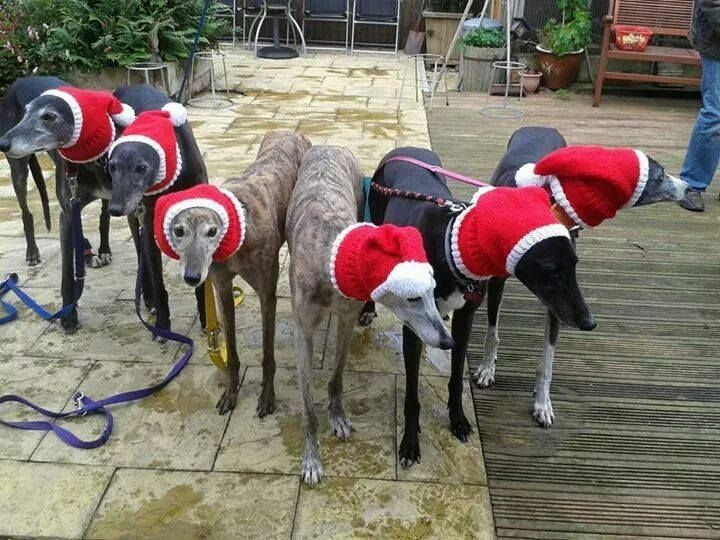 ‘It’s really sweet seeing them in their festive Christmas jumpers and it’s giving much needed help to the rescue centres,’ she adds, explaining: ‘Greyhounds have very thin fur so they really feel the cold during the winter so my gifts help keep them warm during walks.